The government’s nature conservation and access body Natural England has produced a report for DEFRA setting out proposals for improved access to the coast passing through The Living Coast UNESCO Biosphere between Shoreham-by-Sea and Eastbourne. These proposals form part of a programme to establish a continuous walking route around England’s coastline (as set out in the Marine and Coastal Access Act 2009). 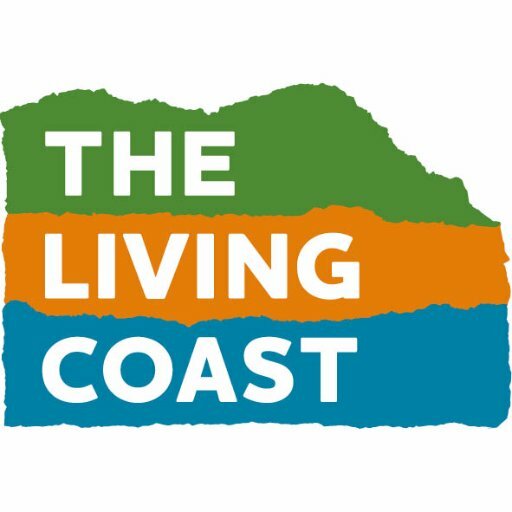 - The coastal path would be able to ‘roll back’ as the cliffs erode or slip, solving longstanding difficulties with maintaining a continuous route on this stretch of coast. This is a significant opportunity to improve public access to this stretch of coast in these ways, with benefits for residents, businesses and visitors. Once approved and established, this part of the England Coast Path will be managed as part of the family of National Trails. Natural England are inviting anyone with an interest to make a ‘representation’ to the Secretary of State about these proposals, whereas only owners, tenants or occupiers of affected land may make an ‘objection’. All comments about the report must be received by Natural England by Thursday 22nd November 2018. • Guidance notes to help you complete the form(s). The Secretary of State will make a decision about the report when all representations and objections have been considered. Establishment of the new access arrangements will not begin until that decision is made, provisionally in 2019. Stop Lewes District Council destroying Tide Mills, part of Seaford Bay, part of The Living Coast UNESCO Biosphere between Shoreham-by-Sea and Eastbourne.. If Lewes District Council implement their Local Plan Part 2 – Policy E1 – they will turn much of this area including the internationally recognised vegetated shingle beach into an industrial estate. Sounds wonderful, but did you know your path may be affected by a proposal to build a cement factory and medical waste incinerator on the tide Mills site between newhaven and seaford? Residents of Newhaven and Seaford are campaigning hard to prevent the despoliation of the area from East Quay, Newhaven to Tide Mills. They are still fighting the Port Access Road which will open up this bio-diverse area of vegetated shingle, diverse natural habitat, bathing beach and sites of archeological interest [Seaplane Base and Tide Mills Village] to heavy traffic. We hope you will support our efforts to maintain the coastal strip and protect Seaford Bay. Lewes District Council appear to be still intent upon declaring part of the Tide Mills area to be an employment zone, and have rejected all protests (including Newhaven and Seaford’s Town Councils) as immaterial. Their Local Plan Proposal E1 came with a hastily drawn map, and no mention whatsoever of the existing (already diverted) footpaths or why they wished to enclose an important area of vegetated shingle; their lines would disrupt the footpaths to and from the beach. I very much hope they won’t be allowed to get away with this senseless and wholly insensitive proposal. Unbelievable if this is allowed to happen we need to protect these beauty spots !!! I think this is a great idea, however East Sussex county council are intent on taking away public access to Newhaven East Beach with port expansion and industrialisation on an area (see Lewes District Council Local Plan, policy E1) of significant importance to the community in terms of leisure and exercise and also a significant wildlife area which includes vegetated shingle. These areas need protecting both in terms of biodiversity and also the wellbeing of the community. Proposed development to the west of Castle Hill Newhaven makes no allowance for clifftop erosion of the coastal path.